BEND, OR (Thursday, November 5, 2015) – GoodLife Brewing Company is hosting the 3rd Annual Central Oregon Winter Beer Festival in the GoodLife Biergarten on Saturday, December 12th, 2015 from 1pm-9pm. Last years festival had 22 breweries involved, and this year we are hoping to have all of the Central Oregon breweries, both new and old. This will be an annual event held the second Saturday of December at GoodLife Brewing, and we look forward to growing it in the years to come. We are happy to announce Bigfoot Beverages as our Title Sponsor for 2015. 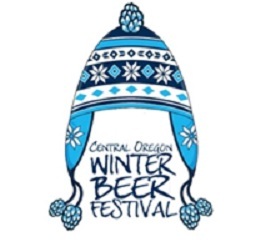 COWBF is a fundraiser for the Central Oregon Brewers Guild, COBG, which works to bring outside awareness to Central Oregon by focusing on our local craft beer culture, with a mission to drive tourism and commerce to Central Oregon, as well as surrounding Oregon communities. COBG is composed of people working at Central Oregon breweries and was formed to give Central Oregon beer a united voice. COWBF is a showcase for seasonal and specialty beers brewed in celebration of the holiday season. Admission to COWBF will be $10.00 and attendees will receive a commemorative COWBF glass, as well as 4 drink tickets. Each additional ticket will cost $1.00. The festival will be in a heated tent, and there will be food carts available on-site. As brewers of hand crafted ales, we are outdoor enthusiasts who look forward to sharing our craft beers that are most balanced and of the highest quality. GoodLife Brewing Company has been making award-winning beer since 2011 in its home of Bend, Oregon. GoodLife’s adventurous ales are Descender IPA, Mountain Rescue Dry Hop Pale Ale, Sweet As Pacific Ale and a selection of seasonal beers. In addition to making beer, GoodLife enjoys giving back to the community by supporting many local and national non-profit organizations. Play hard, live easy and enjoy GoodBeer for GoodLife! For more information, visit www.goodlifebrewing.com, or find us on Facebook and Twitter.